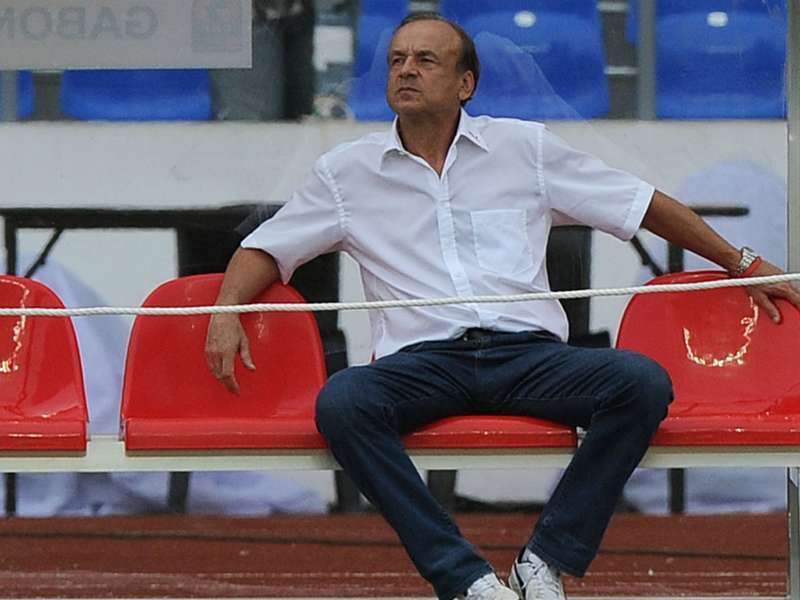 Head coach of the Super Eagles, Gernot Rohr is set to go on a scouting trip to the Niger Republic to watch the Flying Eagles at the 2019 U-20 AFCON so he can invite the exceptional players to the Super Eagles, goalball.com.ng reports. The Super Eagles coach has hinted that the Nigeria Professional Football League (NPFL) stars stand a good chance of earning call-ups to the national team for the games against Seychelles and Egypt. “They did not play for a long time so it was not easy for the players to be fit again immediately,” the German football tactician said on the sidelines of the NPFL match between MFM FC and Rangers. “What I see in this game is interesting, I saw the results of Rangers and Lobi Stars in the African competitions. It’s good now that they are playing. “With my assistants, we are always watching, Imama is in the other game today, there is Alloy Agu also watching. Some of the noticeable names on the Flying Eagles roster for the tournament are IK Start midfielder Afeez Aremu, Enyimba’s Ikouwem Utin, Rosenborg wunderkid Igho Ogbu and new Sonderjyske signing Yahaya Nazifi. The Flying Eagles have been drawn against Niger, South Africa and Burundi in Group A of the U20 AFCON which kicks off on February 2.